Home Chromebook Blog How can I connect a Chromebook to a WPS WiFi router? WPS stands for Wi-Fi Protected Setup. ts a wireless networking standard that tries to make connections between a router and wireless devices faster and easier. It works only for wireless networks that have WPA Personal or WPA2 Personal security. 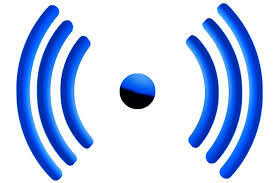 Many different types of wireless routers have this feature. You will most likely see a button on your wireless router that you can then sync with your Chromebook. To use WPS to connect to your WiFi network:. You can connect your Chromebook to a wireless network with the settings below. Networks that are open and not secured with a password. Make sure that your router is receiving power (the Power LED is lit). Press the WPS button on your router. This will start to process for the Chromebook to connect to the WPS router. Your Chromebook can connect to any network with the following settings. Chromebooks cannot connect to a WPS network. Secure networks that use WEP, Dynamic WEP, WPA-PSK, WPA-Enterprise, or WPA2-Enterprise settingsWe recommend WPA2, as it is more secure than WEP or WPA. Chromebooks cannot connect to a WPS wireless network. You will need to enter the a password to connect to the router. See information on connecting a Chromebook to a wireless router.